The week started out quick and ended with a long slow crawl to Friday! Thank goodness its finally here.... FRIDAY! Time for some Happies and Crappies! I'm tired and think that I may just sleep for my entire spring break! My hubs and I decided when we moved in that we would skip the Direct TV, but we are truly missing it! Especially now that baseball season starts on Tuesday!!!! Many schools are out today, sadly, I am not. Not such a "good" Friday! There will be a lack of kickboxing this weekend due to the holiday! Sad face! TWO of my gal pals from work are getting married. I am so happy for them both! Easter Sunday is looking to be a great day! Brunch is happening and then hubs and I have plans to take a nap and then head to the happiest place on earth! Hope the weather looks good! Sleeping in! This will be happening for sure! House research has been going well! We have found a few neighborhoods that we are watching like a hawk and others that we have learned that we aren't really interested in. We are steadfastly hoping and praying for a house to be in our price range and in one of our target areas come the end of April!!! Offers will be made! I.CANNOT.WAIT!!! Hubby bought baseball tickets for the 10th! Words cannot express how happy that makes me! We may not be able to watch every game this season, but we will be trying to go to a few more than last year. This little blog has hit over 220 followers! Wow! Welcome to those who are new around these parts! Welp, I think that's it! This is my mantra this week! It is definitely the epitome of a teacher's life for me: parent teacher conferences, report cards due, lesson planning, professional development, and getting ready for a new student! Needless to say, this Random Thursday is definitely a welcome break from the icky rush before spring break! Let me just say that I love to read a GREAT book, but it saddens me when they don't come out that great. I always wish my favorite parts of the book would make it into movie form but usually they dont! Let's just say that alot of times the books turned movies are not that great... there are definitely bad options out there! Either way here are my top 3! ...but i still loved the book more! I loved both the movie and the book... but i think i still love the book much more! There are some details that they can't fit into a movie! I can't wait to read what other people post! My guess is that there will be a few references to Twilight and maybe even some Lord of the Rings? Or even Harry Potter? Hmmm... see if I'm right by clicking below! The blog world has been in a bit of a tizzy the last week or so all due to Google announcing that Google Reader will be discontinued as of July 1st. Many are pretty terrified that this mean the Google Friend Connect will be disappearing soon as well. Google has not made any announcement of this, but they seem to leave it pretty vague. My conclusion: I think maybe at some point Google MAY discontinue GFC, but it doesn't seem to be in the near future. Even if Google did do that, it seems that they would have another (maybe better) option available to bloggers. In my opinion there are other options out there, for following blogs as well as having followers of your own blog. Check out the blog too! I learned that this is ONE creator who is helping bloggers and followers alike to follow some great blogs! 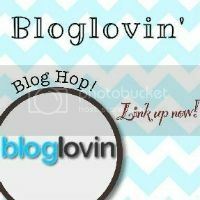 I have been connected with Bloglovin' for a while, but I guess now is as good a time as any to use my Bloglovin' profile! 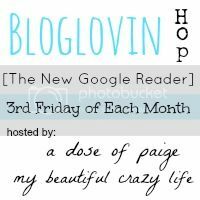 So, i have imported all the blogs i follow through Google Reader into my Bloglovin profile. I was as easy as PIE! So all my blogs are ready for following! Give it a try! Oh and while I am at it, here are a few link ups to get your Bloglovin profile out there! This one will be changing to the "Friend Connect Blog Hop" in light of the recent announcement! I will be co-hosting that last blog hop in June! Hope this post helped to provide a little perspective! The most important thing rally is to NOT panic! I am more than positive that bloggers will figure it out... after all, i think we are all pretty smart! Today's the last day! Head over and enter to win lots of prizes! PS Enjoy the rest of your weekend too! Today is my dear husband's birthday! I keep telling him he is turning old today, but the truth is we are almost exactly the same age! Just 11 days between us. Celebrating his birth is a great reason to reflect on how much the lug means to me. It amazes me how much marriage has changed me and how i am loving my life with him! I can't picture what my life would be like without him and he is and continues to be the person i dream of a future with! I can't wait for what it hold for both of us! Hidden talents tend to be things that people don't flaunt much. I can think of two for myself. DISCLAIMER: It is DEFINITELY ok to laugh at me! I can do the splits. This has been something i have been working on for YEARS! I am still working on it with my legs going out to the sides, but with my right foot forward, I can definitely do the splits! All the way down! My left hamstring is pretty tight and that makes it pretty difficult to go all the way down with my left leg out in front! Either way, i can do 'em! I can do this with my tongue! I took a picture of course, to increase the humor here! I had a feeling it would also increase the embarrassment factor! Please excuse the lack of make-up and tired eyes! Those are my hidden talents! I can't wait to see what others share! Join me in heading over to the Random Thursday link up! Oh and while you'r at it... head to Meg's blog to find the giveaway AND the link up! PS. Tomorrow there may or may not be a post! Celebrating' hubby's birthday can be hard work! I have been a Birchbox subscriber for just over a year now, so i thought i would do a review post. So many people ask me if it is really useful or if it is more of a waste of money every month. If anything, Birchbox is fun! I love getting new stuff every month. It has really expanded my horizons. Most of the stuff i don't buy regularly, but there is some stuff that i will probably order when i finish my sample size. My wallet loves that i don't finish samples all that quickly! I have not purchased anything in the last year. Though i have yet to do this, reviews can equal points. Points equal free stuff. Every 100 points = $10. I have no idea why i have not reviewed anything in the last year. I gotta make sure i do this! Great customer service! The people over at Birchbox have always been great about letting you know if your next box will be late or even when it is on it's way! Last month, my box magically disappeared and they gave me points and did not charge me for the next box! Woo hoo FREE! Some items are regular sized! Love this! I have actually begun to use some stuff on a regular basis! Here's stuff that is straight from my make up bag! I constantly have new perfume! 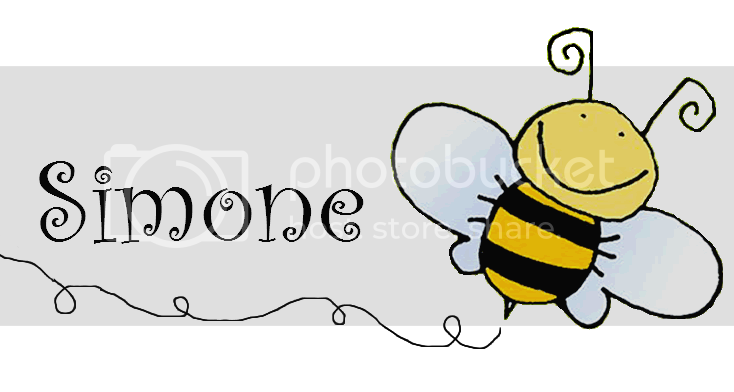 Love that and there has only bee one that i have not really liked! They are creative with their themes for each box! Love that! I hate waiting for boxes to come in the mail. Being on the west coast and the fact that the boxes are shipped from the east coast, can stink! I have ended up with a bag filled with stuff! Check it out! Some items are not preferred For example, I got blush this month and I am not really a blush wearer! I looks pretty... but i probably won't wear it much! But again it will come in handy when i need blush! Some items are kind of obscure. I am not a huge beauty buff, so some items i hold up and wonder if it is for hair or skin or who knows what?!? I have saved all my empty boxes but i have yet to figure out what to do with them. I think they would make some great gift boxes, but yet again have yet to find a gift to give that will fit! So, alas, i have many empty Birchboxes! I think that sums up my experience. Over the last month I have scheduled and rescheduled this post! I was really trying to determine if i was going to continue to subscribe to Birchbox. I got my March box (shown below) and I am still torn, though i do love getting real mail in the mail. I feel like maybe i could try something else, or i could continue and then do some reviews to work my way up to some free products! Hmm .... so much to ponder on this great hump day! Do you subscribe to a beauty box of sorts? If so, do share! I would love to hear about one that you love! Before i sign off for the day... don't forget to enter the giveaway going on over at Meg's blog! early Mondays with late evening activities sure do put me in a not so bloggy mood on Monday nights... so much so that i am not even gonna make any letter capitalized. too tired to hit two keys at one time. i am about half way through, or maybe close to half way and i am really enjoying this book! I love the characters and the perspective they lend to different life situations. the characters are definitely likeable and the situations could definitely be real life situations. I have never read anything from this author before, but i think i could like her! Oh and one other part of the book that i have enjoyed, is the discussion of bread. Bread is a theme woven through out hte story. There are even recipes stuck into a few chapters ... it's almost like you can smell the bread baking in the oven! 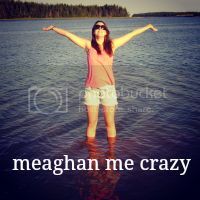 Oh and while you are hopping around from blog to blog... be sure to go and enter the birthday giveaway over at You're Meaghan Me Crazy! ps. so i never realized how hard it is to avoid capitalizing. I snuck a few capital letters in there ... for good measure of course! Off to bed! Today I am excited to announce that i am offering .... surprise,surprise.... more Redbox Codes!!! This is all in honor of Meg's birthday! Be sure to head on over to enter to win! There's a first place and a second place ... lots of prizes. Pretty much wishing that i hadn't volunteered my prizes so that i could have entered! She got all of us gals to help out! 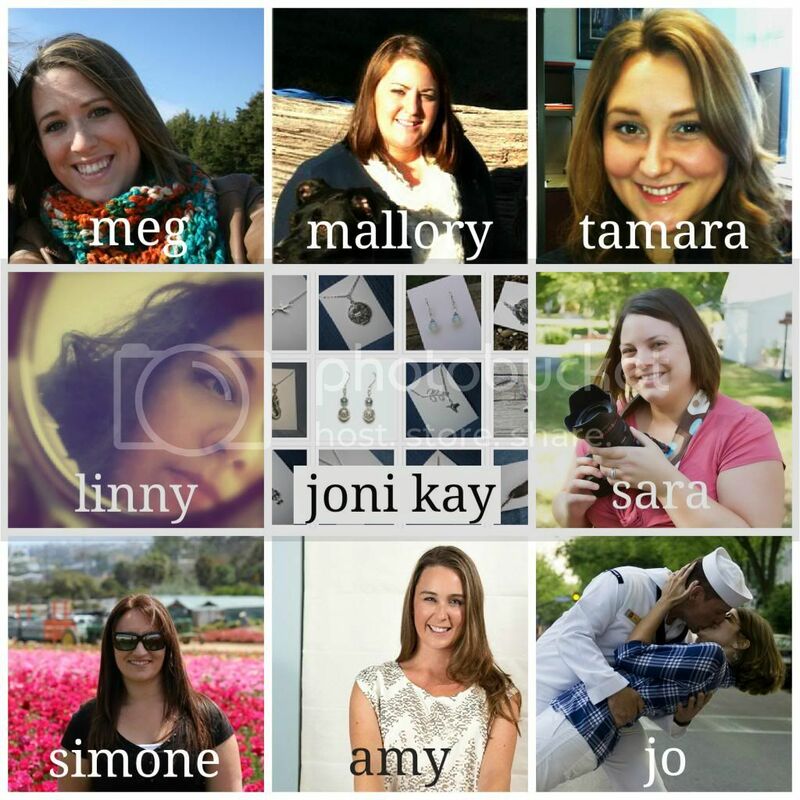 Head on over to Meg's blog to check it all out! O yeah and don't forget to wish that gal a happy birthday! Time to link up for my High 5 and I am also linking with the Doddle Bugs! Sunday was my birthday and it was a GREAT day! The morning began with a yummy breakfast at home and then my hubby helped me cook for the week! It took so much less time that it truly was a treat! Then we went off to Disneyland and had ice cream sundaes for lunch! Yep, you read that right, FOR LUNCH! Then we went on a few rides (Matterhorn, Snow White, and Pirates) and headed for the car! Then it was off to a great dinner with another couple! It was great to spend time with great friends! Oh and I can't forget the Italian food! Yum! I needed a couple new pairs of shoes, but instead i got three! (Normally i do not buy this many pairs in one stop!) Lily had to inspect them when we got home. I think she approves of my fashion sense! Birthday treats from my students and the great ladies i work with! It's always nice to hear what the kiddos say to you on your birthday! In my classroom, we dont always give gifts, instead we give compliments! They had sweet things to say! Lily had us a bit worried last weekend. She stopped eating for about 36 hours and we kind of freaked out! We realized she was a bit emotional due to seeing one too many reflections. She really stresses out over light reflecting on the walls. Anyway, she is feeling much better and back to her old eating habits. Oh, and she is definitely still getting in her share of trouble! This song has been so fun to listen to and really fits in with this time change bit! Loving the Randy Houser and listening to The Highway is a great treat every time i am in the car! What were your highlights from the week?